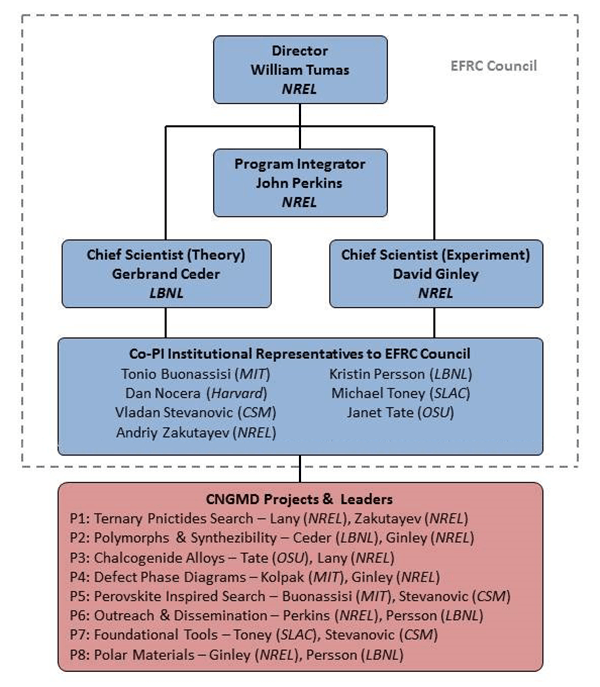 This page highlights the organizational management structure of the Center for Next Generation of Materials Design, an Energy Frontier Research Center. It also lists the roles of the key staff within the center. Organizational management structure of the Center for Next Generation of Materials Design.